Students performe an experiment in microgravity aboard the Airbus A300 Zero-G plane. Bruce Pitman, a contractorÂ working atÂ NASA Ames, gave an update on efforts to use suborbital space tourism vehicle for scientific experiments on Friday at the ISDC conference. Paul Damphousse, Chief of Advanced Concepts for the National Security Space Office, gave a presentation on Friday at ISDCÂ about SUSTAIN – an advancedÂ vehicleÂ that would allow the Pentagon to deplay a force of 12-13 Marines anywhere in the world within a few hours. 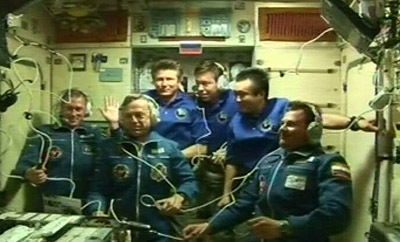 The crew of the International Space Station has increased to six for the first time today with the arrival of three new residents including ESA astronaut Frank De Winne with the Soyuz TMA-15 spacecraft. NASA’s Centennial Challenges Program and the Spaceward Foundation will hold the 2009 Power-Beaming Challenge, part of Spaceward’s Space Elevator Games, at NASA’s Dryden Flight Research Center on Edwards Air Force Base, Calif., on July 14. 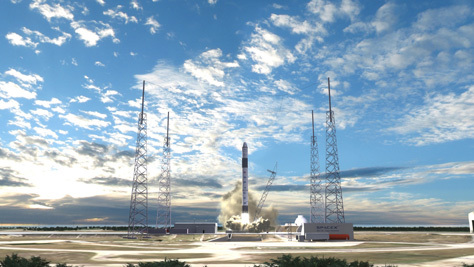 SpaceX’s planned summer demonstration launch of the first Falcon 9 rocket has been delayed to the fall. A combination of technical work and lack of documentation for the Air Force, which manages safety on the Eastern Range, created the delay. 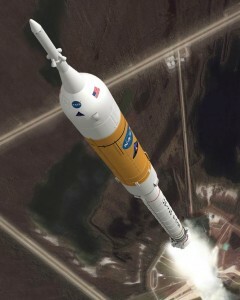 The launch has been scheduled for July and now will occur no sooner than October. “It’s basically dealing with the complexities associated with lifting a new rocket off from a new launch site,” SpaceX President Gwynne Shotwell said. Space Solar Power: Now More Than Ever…. Hey everyone! Greetings from sunny (and stormy) Orlando! I attendedÂ a couple ofÂ ISDC sessions this afternoon on space-based solar power.Â A couple of key takeaways from the sessions before Iget into posting some detailed notes. Former X Prize contenders such as the Romanian team ARCA could have called it a day when Scaled Composites’ SpaceShipOne won the $10 million Ansari X Prize on Oct. 4, 2004. 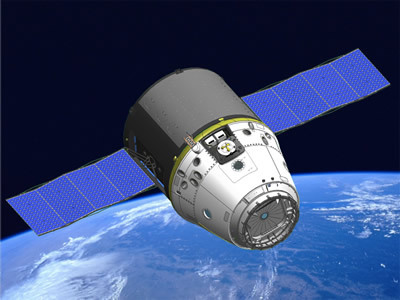 Instead, ARCA hopes to build on its previous effort to reach the moon and win the Google Lunar X Prize and even more prize money. 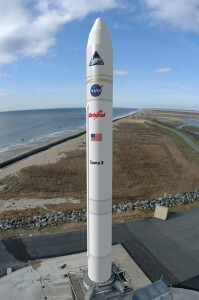 OSC's Taurus II rocket at Wallops Island. Construction of a new launch pad for Orbital Science Corp.’s Taurus II rocket should begin this summer, the company’s launch site manager said. The Orlando Sentinel has identified most of the members of the review panel that will be led by Norm Augustine to review the troubledÂ Constellation lunar program. The list includes some interesting names, including XCOR CEO Jeff Greason, former NASA astronaut Sally Ride, Aerospace Corporation CEO Wanda Austin, and former Boeing executive Bohdan “Bo” Bejmuk (who helped to put together Sea Launch). The first flight test of NASA’s new rocket configuration to carry astronauts into space will take place later this year. Ares I-X consists of a four-segment first stage solid rocket motor, and a simulated upper stage that represents the weight and shape of the Ares I rocket and Orion crew vehicle. It will be launched in a suborbital arc into the Atlantic to collect data on its flight dynamics and parachute recovery performance. Elon Musk said today that his company SpaceX could fill most the gap between the end of space shuttle flights in late 2010 and the beginning of Orion mission in 2015. Scaled Composites has completed the first series of tests on the rocket motor for the SpaceShipTwo spacecraft, clearing a major milestone toward testing of the suborbital tourism vehicle, Virgin Galactic President Will Whitehorn said on Thursday.